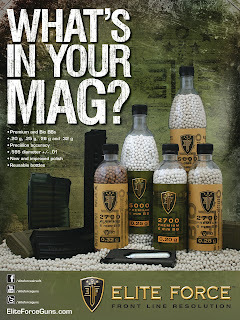 Airsoft Cyber Monday Deals - get them while you can! now & Dec. 19, 2012, can be returned as late as Jan. 19, 2013. 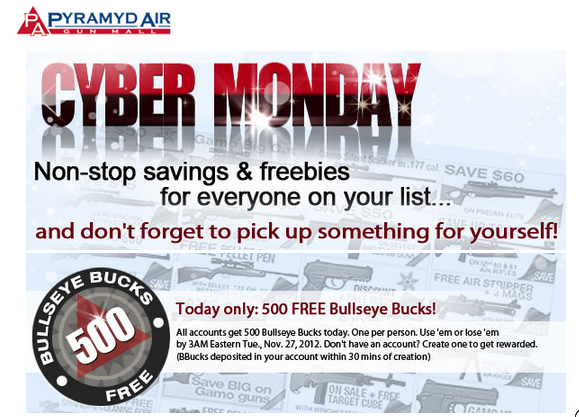 Today only: Get 500 Bullseye Bucks just for having an account with Pyramyd Air and use them on your Cyber Monday order. 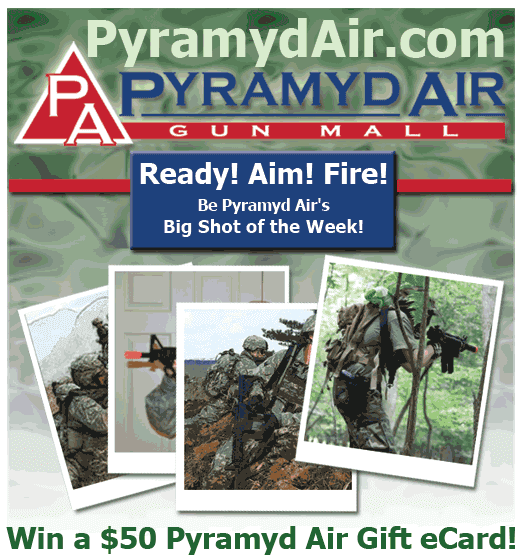 Sign up for a free account on Mon., Nov. 26, 2012, and you'll get 500 FREE BBucks within 30 mins. to use on anything you buy today. Use your free BBucks by 3AM Eastern, Tues., Nov. 27, 2012, or they'll go the way of the Dodo Bird!